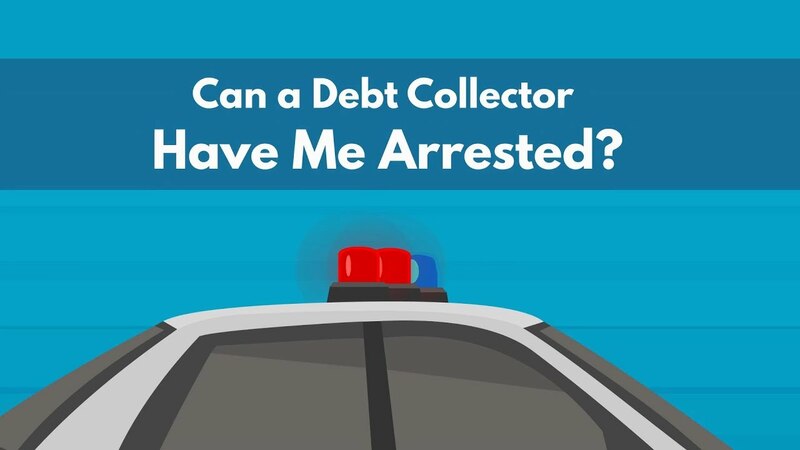 Debt.com » Debt Collection » Can a Debt Collector have Me Arrested? In 19th Century England, more than half of all prisoners were there for unpaid bills. But in the United States, there’s no such thing as debtor’s prison. Not since the 1830s anyway. Here’s how it works in this century; if you don’t pay your bills, you don’t go to prison. But you could still go to court. You can be sued for what you owe. And while you won’t be sent up the river, your credit score can sink to the bottom of the ocean. If a debt collector threatens you with jail time, it’s a big, fat, lie. It’s also a warning sign. Don’t be bullied. Call Debt.com if debt collectors are harassing you, and we can make them stop. Because this is the 21st century and there are laws against collector harassment. We can tell you all about them, just call us. The idea of going to prison because of debt is actually central in American history. After all, in the 18th and 19th centuries, over half all prisoners in England were there for unpaid debt and colonization of the Americas began with these prisoners. Once the colonies took root, many debtors became indentured servants in order to settle what they owed, or they fled to the U.S. to escape their debts. But once debtor’s prison was abolished in the U.S. in the 1830’s, by and large all jail time over owed money ceased. So if a collector threatens you with jail time, they’re almost always violating the law and you have a right to fight back. If you’re dealing with threatens of prison over your unpaid debts, don’t take it. Call us or complete the form to connect with the right experts for your situation. Whether it’s a loan, a credit card, your mortgage, a payday loan – it doesn’t matter. No collection on any consumer debt will end in jail time. It just doesn’t happen. You cannot be detained, jailed, forced into community service or work programs, or anything of the like over your unpaid debts. What’s more, according to the Fair Debt Collection Practices Act, it’s actually illegal for a debt collector to threaten you with any jail time. As a result, you can file a complaint and even sue a collector for violating the FDCPA if the make threats of this kind. So note the violations and make sure to report it. If you want to fight back, we can help you connect with professionals to do just that. It’s critical to note that there is one very specific way that a consumer debt can land you in jail – and it’s not because of the debt, itself. In some states, if you fail to appear or follow the instructions of a civil court order related to your debt, then you can be found in contempt of court. As a result, a warrant can be issued for your arrest because you ignored the court’s orders. You still don’t go to jail because of the debt – you go as a result of your actions related to the collector’s attempt to sue you in civil court. Fact: This type of warrant can be issued even if the debt is past the statute of limitations. So while you can dodge collectors and try to get out of paying a debt if that’s your decision, you should never ignore court summons related to debt. You’re only making a bad situation worse. And with the fact above, even if the debt is past the statute of limitations for collection, you still have to appear and prove that to the court. Don’t waste another sleepless night worrying about debt! Let Debt.com connect you with professional debt help today. Consumer debts that go through civil court are one thing – and as detailed above, you can’t really go to jail for not paying these debts. But there are some situations where money you owe can land in you jail. The first instance comes when you fail to pay court-ordered child support. Not only can you be jailed for failure to appear when it comes to child support hearings, if you can’t reasonably explain why you’re dodging the obligation, the judge can have you thrown in jail. The unpaid support actually counts as contempt of court, because the court ordered you to pay. Fact: Jail time for unpaid child support can be up to six months. Article last modified on April 24, 2019. Published by Debt.com, LLC . Mobile users may also access the AMP Version: Can a Debt Collector have Me Arrested? - AMP.